Welcome to the Home of the Woodley Park Archers. Woodley Park Archers promotes fellowship through social and field activities offered by the organization. WPA is a non-sectarian, non-political, educational organization. Membership in Woodley Park Archers includes Compound, Olympic-Style Recurve and Traditional style archers, archery enthusiasts, family members and others who support the club’s objectives and, as members, may participate in activities, meetings and classes. 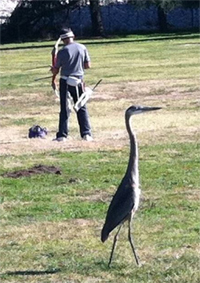 Woodley Park Archers is a Member Club of USA Archery and the State Archers of California. The objective of the Woodley Park Archers is the elevation of the sport of archery through education and the promotion of youth, family and individual archery participation. The Woodley Park Archers promotes the safe use of archery equipment, the practice of proper archery techniques, etiquette and sportsmanship. The Woodley Park Archers boasts an excellent coaching staff of volunteer instructors who can offer assistance in all forms of archery – Traditional, Olympic-style and Compound. All the club’s instructors are certified by USA Archery (USAA), the governing body for target archery in the United States. Shortly, a list of our coaches will be available on our website.